I am thrilled to announce that I will be taking over TKGA's finishing correspondence course as of February 18th. The delay is due to the fact that I plan to rework the materials so that they cover all of the finishing techniques covered in Level 2 of the Masters Program. The course will still have four lessons but the material will be different. The first lesson will cover seams--vertical seams for different stitch patterns and the horizontal seams which are mainly used for shoulders. 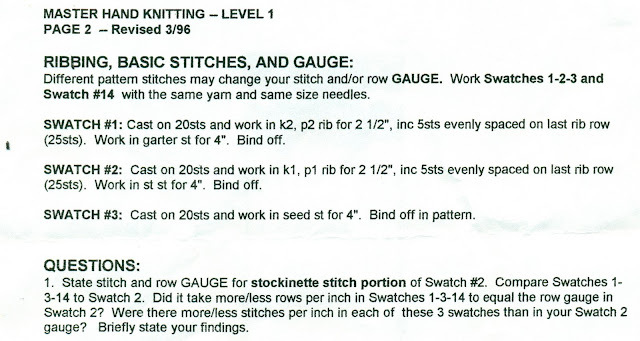 The second lesson will cover picking up stitches for bands and the third lesson will be closures, primarily different types of buttonholes. 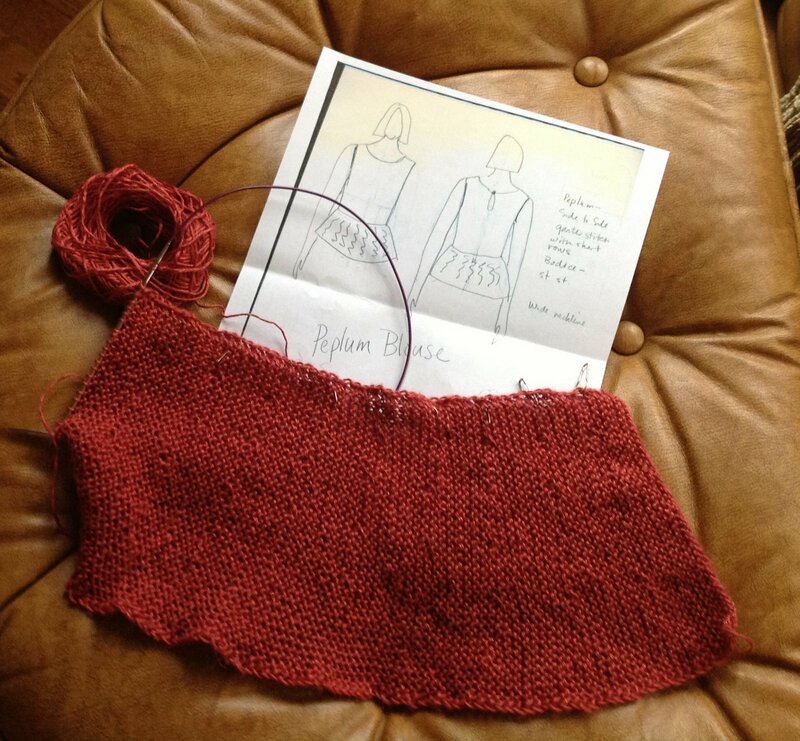 In the fourth lesson, the students will put all of this together to knit and finish a sweater. I will provide the pattern for a doll sweater but the students can knit a pattern of their own choosing, as long as it meets the criteria for finishing. I wouldn't say I love finishing (I am finishing a dress right now) but I do appreciate that proper finishing really makes a garment look handmade rather than homemade. Students are slowly getting back to working on their courses. I've reviewed a few lessons this week. January is a good month to learn something new. Send those lessons in! Keep me busy! There was a conversation this week on the TKGA forum about the instructions for the Masters Program. People were curious how the program has changed. TKGA doesn't post earlier versions of the instructions as this would cause confusion. 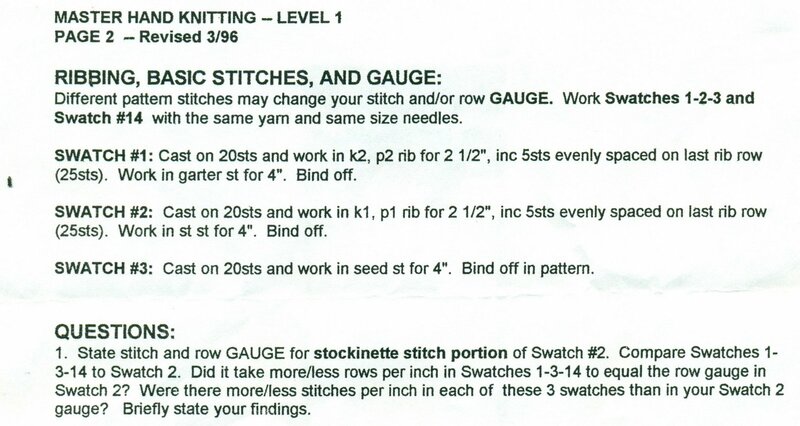 I have the set of instructions I used when I did the program (I did Level 1 in 1997) and I said I would post a portion of it if anyone was curious. I did not want to put this out on Ravelry as someone might think the instructions were current so I am copying a small portion here. I think most will agree the instructions have gotten better over time. This tip has nothing to do with anything covered in one of my courses or in the Masters Program. At my knitting salon last week, Stephanie was working on a hat (Wurm Hat on Ravelry) and was having trouble with the pattern. 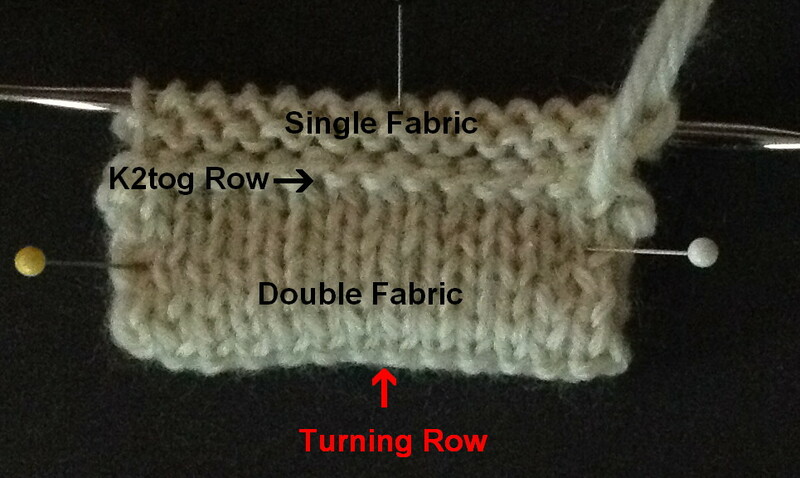 The hat calls for a folded band where you pick up stitches in the cast on edge to join the two pieces. Part of the problem was that the yarn was so dark it was very hard to see the cast on edge. I told her I would do a video using light colored yarn. By the way, if you are using a new technique in a project, try it out on a swatch first. I keep a skein of Lion Brand Fisherman Wool handy for just that purpose. 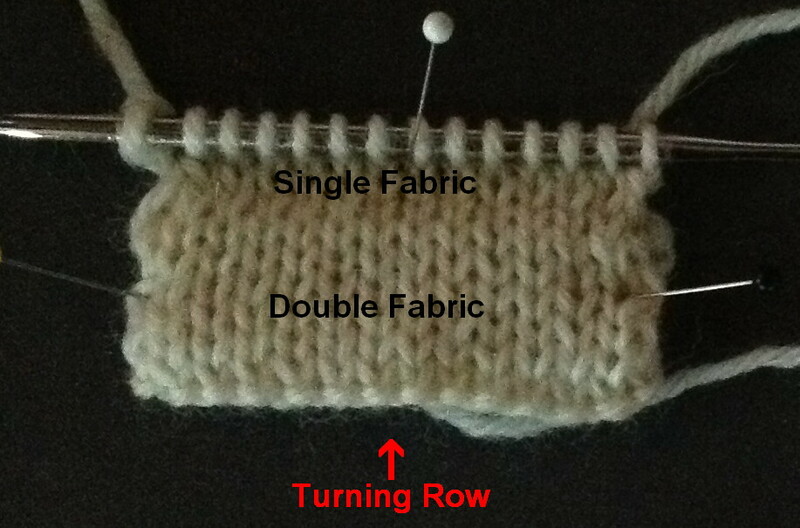 There are several ways to do a folded hem. You can do a provisional cast on, you can use double knitting or you can use the method suggested in the Wurm where you cast on stitches, work in stockinette to the desired length, work a fold row in reverse stockinette, work the same number of rows in stockinette and then join the stitches on the needle to the cast on edge. A caveat...when you use this method, especially for a hat, be sure to cast on very loosely. If the cast on is tight, the hat band will not stretch. This isn't the end of the world for a hem at the bottom of a sweater or cuff but it would be a real problem for a hat. For that reason, you might want to consider a provisional cast on instead. Here is the WS of the work. Here is the RS of the work. Here is the link to the video: Double Hem. I've used this technique quite a bit. A picot edge is nice as well. 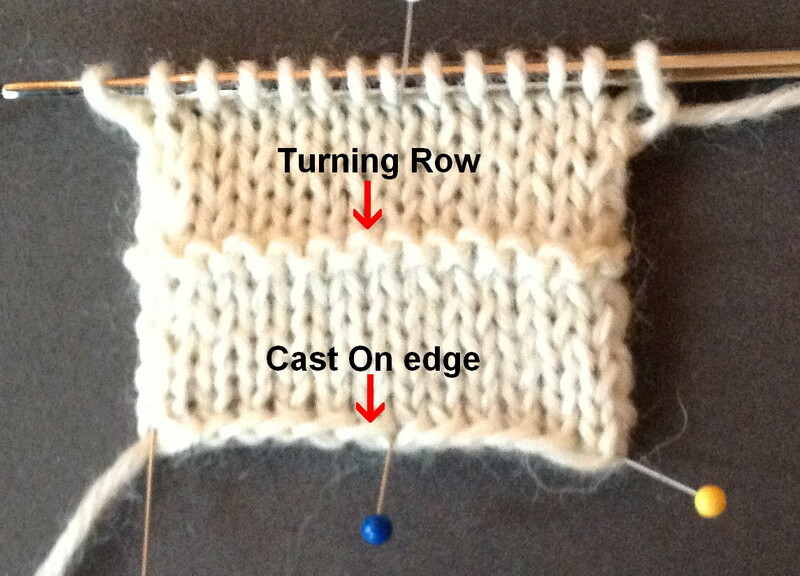 Next week I will do a picot edge with a provisional cast on just for a comparison. By the way, as I've said before, I am willing to take request for the tips. However, since I am taking over the finishing course, I can see lots of finishing videos in my future. By the way, Stephanie is almost finished with the hat and it is fabulous. No opera this week but there is a basketball game on Saturday so Salon will be on Sunday from 2pm-4pm. I have gone back to work so every other week salon will be truncated. I am amazed at how quickly the dress worked up and how little yarn was required. 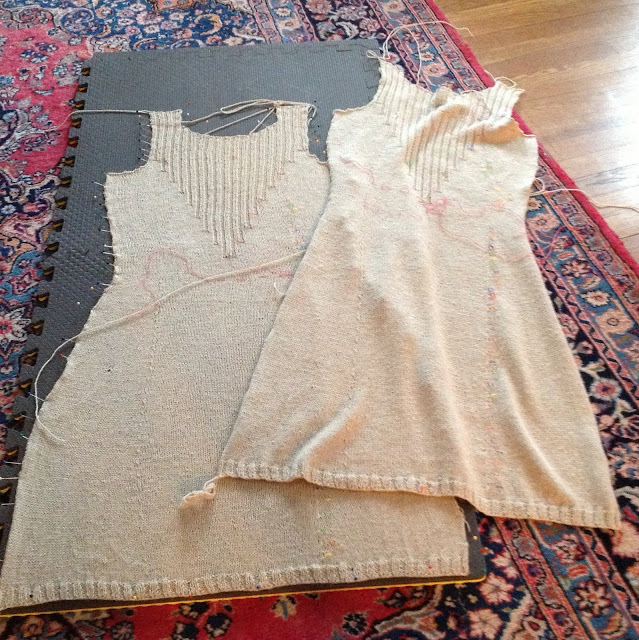 All I have to do is pick up stitches on one armhole and weave in ends. I did take a photo of it yesterday. I will post the finished photo next week.